How to Update Nexus 4 to Android N 7.0 Nougat : Cyanogenmod CM14 . 1 How to Update Nexus 4 to Android N 7.0 Nougat : Cyanogenmod CM14 . 1.1 Download CM14 for Nexus 4 Nougat 7.0 Update . 1.1.1 Nexus 4 Android N 7.0 Nougat update . Do you want to Upgrade Nexus 4 to Android N 7.0 nougat ? And Want to Download Cm14 for nexus 4 ? if yes then you are at right place . 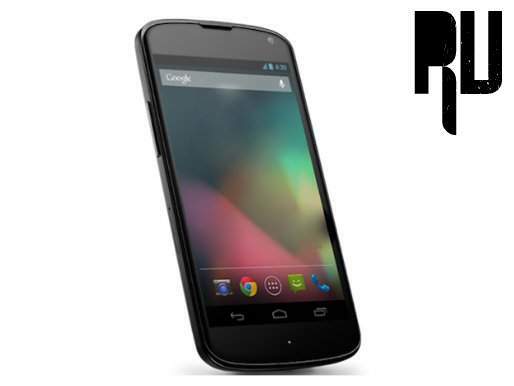 Today we are here with the guide on How to Update Nexus 4 in Nougat 7.0 . Google recently started rolling out official nougat update for nexus devices but Devices older then nexus 5 are out of the list . So today we are here with the Cm14 rom for Nexus 4 . Nougat 7.0 is the latest android version from google which comes with many new features and Design And it is also a major upgrade over the marshmallow . There are many devices in the list that are expected to get the official update but devices like nexus 4 , Nexus 5 and all older devices that will not receive official Android N 7.0 Nougat update , But there are many developers like Zaclimon who make CM14 for devices Like Nexus 4 . So today we are here with Android N 7.0 Nougat Custom rom for Nexus 4 . Download CM14 for Nexus 4 Nougat 7.0 Update . Make sure you are using nexus 4 only and this custom rom is only for Nexus 4 if flashed on any other it may brick . Your device should be charged more then 65% . You should have active internet connection to download Cm14 for nexus 4 . TWRP Or Cwm recovery is required to flash the custom rom . Names of Devices updating to android N 7.0 Nougat . All Features of Cyanogenmod . Nexus 4 Android N 7.0 Nougat update . Now connect your device to Computer . After connecting Copy the Downloaded rom and paste in root of Sd card or internal memory . Now boot in TWRP or CWM Recovery Mode . First you have To wipe cache, then wipe cache partition and in last Select Wipe dalvik cache . Now the recovery will ask you to select the Zip file you want to flash . Now select Cm14 for nexus 4 and tap on yes flash . Now the recovery will start flashing nougat 7.0 Custom rom on Nexus 4 . Now just select Reboot from main menu and reboot the device to enjoy Nougat 7.0 . So this was our guide on How to update Nexus 4 in Nougat 7.0 N and i hope the Cm14 nougat custom rom helped you in Upgrading . is this cynogenmod rom from the download link? Yes it is Cyanogenmod 14 . Has anyone tried this? How does it work? Any glitches/issues faced? Hi No issues faced by anyone so far . please confirm me that it is a full custom rom for nexus 4,everything is show good performance, specially camera.